A student at Briar Cliff University in Sioux City has died in an accident in Arkansas. Newton County Arkansas Sheriff Glenn Wheeler says 20-year-old Andrea Norton died after she accidentally fell Saturday from a rock formation near Jasper, about 101 miles northwest of Little Rock. 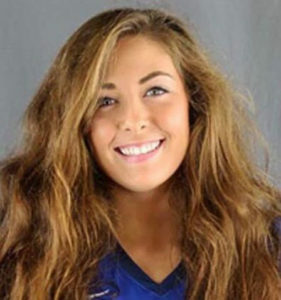 Norton is from Hot Springs, South Dakota and was a member of the Briar Cliff volleyball team. University President Rachelle Karstens posed a message asking for prayers for Norton, her family and students struggling with the loss of their friend, classmate and teammate. Sheriff Wheeler says Norton was with a group of students from Sioux City, and was reportedly repositioning herself for a photo when she fell about 100 feet off the Hawksbill Crag.